From what I’ve seen in gameplay videos it seems like the development team has done well with Obi Wan Kenobi, or Jedi Jesus. Lord knows the light side needs him in HvV. First off, JAT did a great voiceover for him. He sounds awesome. I really hope he’s full of quips throughout the game. I also really hope hero conversations get fixed because he must talk to current heroes, especially Darth Vader. His robed appearance looks really good. I actually like the look of his leaked General Kenobi skin. His lightsaber blocking and attacking animations look good. My go-to emotes will be “your move” and “hello there.” I really hope he gets an “it’s over, I have the high ground” and “I will do what I must” emote one day. He has good star cards. He seems swift. He has good damage with his lightsaber and abilities. He has great stamina. He is what you’d hope he would be. 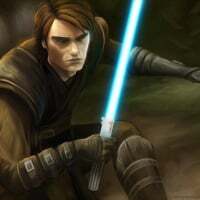 From here, I sincerely hope the development team decides to pay attention to current Jedi in order to make them as good and true to name and title, along with continuing to make future Jedi just as well. Can’t wait to play him soon!